Kansas City is known and loved by its residents and visitors for its jazzy history, barbecue food, museums, historical sites and memorials, and of course, the beautiful views of the Kansas and Missouri Rivers. While in Kansas City, make sure to stop by hot spots like Penn Valley Park, Union Station, or the Ewing and Muriel Kauffman Memorial Garden. And to find a reliable vehicle to get you from place to place, check out our Volkswagen dealer at Volkswagen Lee's Summit nearby! At our Kansas City Volkswagen dealership, we know that there’s a Volkswagen vehicle for everyone. Whether you’re looking to take a family road trip in the Volkswagen Atlas, or are looking for an efficient commuter car like the Volkswagen Jetta, we’ve got the perfect model waiting for you at our showroom. And because we like our car-buying process to be efficient and easy, we’ve put our entire inventory right here on our website. Browse hundreds of models, and find details like fuel economy, interior features, and more, so you’ll be ready for a test drive in your favorite by the time you arrive. 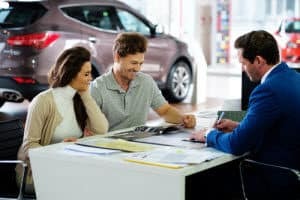 Working with our dealership means you’ll find financing your next vehicle to be easier than ever. Our expert finance team will walk you through the steps of the financing process, so that you can be aware of your options, and decide which will work best for your budget. We’ve built relationships with banks and lenders in the Kansas City area, so that you can rest assured you’ll be in the right hands when choosing a loan. And before you sign any paperwork, we’ll be sure to explain any financial terms that might seem confusing at first. With several online tools, you can get a head start on financing your next VW vehicle. Our payment calculator will allow you to plug in different numbers and see where you’re most comfortable; you can also find your current vehicle’s trade-in value, or fill out our finance application right from home! 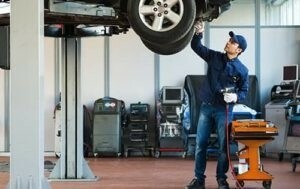 Our Volkswagen dealership is proud to provide an auto service center that’s reliable and convenient, so that keeping up with your VW maintenance is super easy. Having a service center right on site, you’ll never have to look far to keep your vehicle always running like new. With a staff of highly-trained and experienced auto technicians, we can take on maintenance issues across the board. From routine oil changes and tire rotations, to larger part replacements, we’ll get your vehicle back in shape in no time. We also offer VW Service Xpress, where you won’t need an appointment for maintenance such as oil and filter changes, exterior bulb replacements, battery diagnostic checks, and more! If you are in Kansas City or the surrounding areas, stop by Volkswagen Lee's Summit to see what we have in stock for your next Volkswagen vehicle! You can also set up an appointment by contacting us, and we’ll have your favorite model ready for a test drive. We look forward to meeting you!